This year marks 27 anniversary of ADA – Americans with Disabilities Act. However, the House Judiciary Committee voted to advance H.R. 620 which is the ADA Education and Reform Act of 2017 – as explained on their website (where their video is not captioned, by the way). As someone who has been profoundly deaf in both ears since the age of 2, I have gone through many hurdles to be where I am now. I had to spend many years in regular schools without any formal communication access services to finally enjoy quality captioning and interpreting services at universities – thanks to ADA. I’ve been able to attend more work meetings and public events using those services – again thanks to ADA. I’ve been enjoying watching TV and more of movies and videos – again thanks to ADA. I can access more aural information via visual means. We still have to fight for full and equal access as many businesses still try to get around the ADA – despite us educating many of them about their obligations to make their products, services, events accessible. However, we have ADA to back us up. Making amendments to ADA in benefit of businesses is wrong and hurts people with disabilities who fought to have ADA signed into the law in 1990 and who have been fighting for full and equal access. No excuses about the lack of awareness about ADA – it’s been around for 27 years and many businesses should know about it by now! Also, people with disabilities usually don’t sue businesses until after they have repeatedly asked them for accessibility and educated them about ADA that they still refuse to comply to. 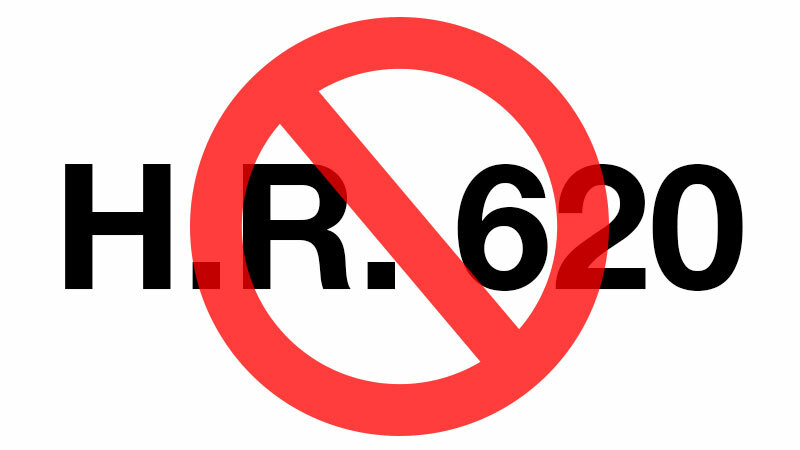 Please ask your representative to tell NO on HR 620!!! If your business wants to learn how to improve your products, services, events and to make them accessible to more people, contact me for consulting services, training sessions, speaking engagements.